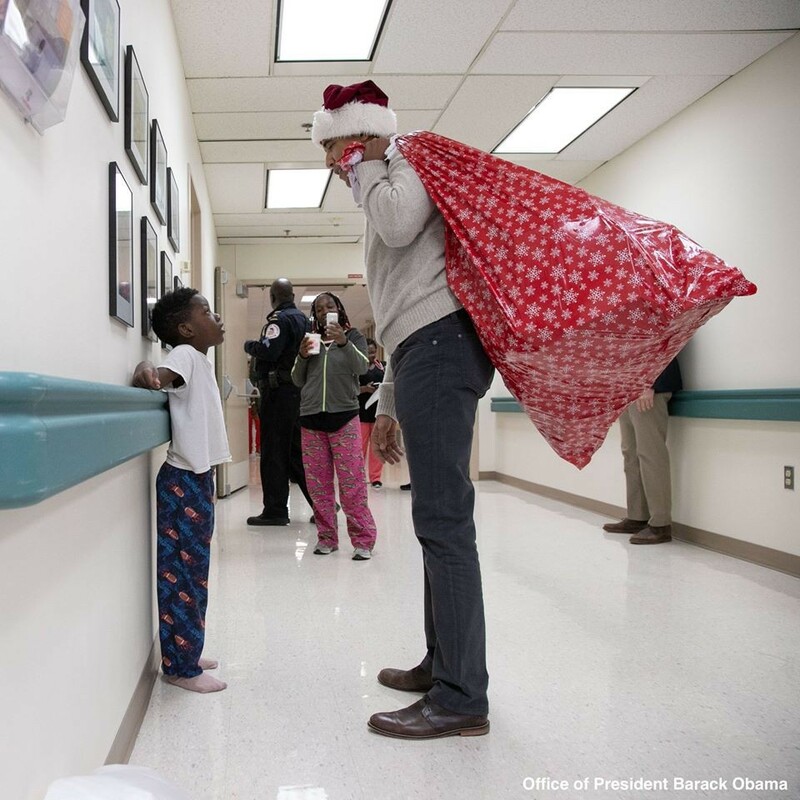 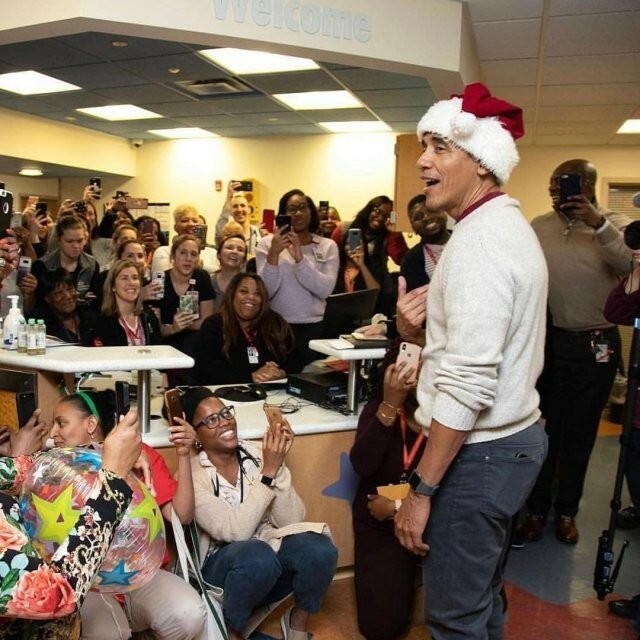 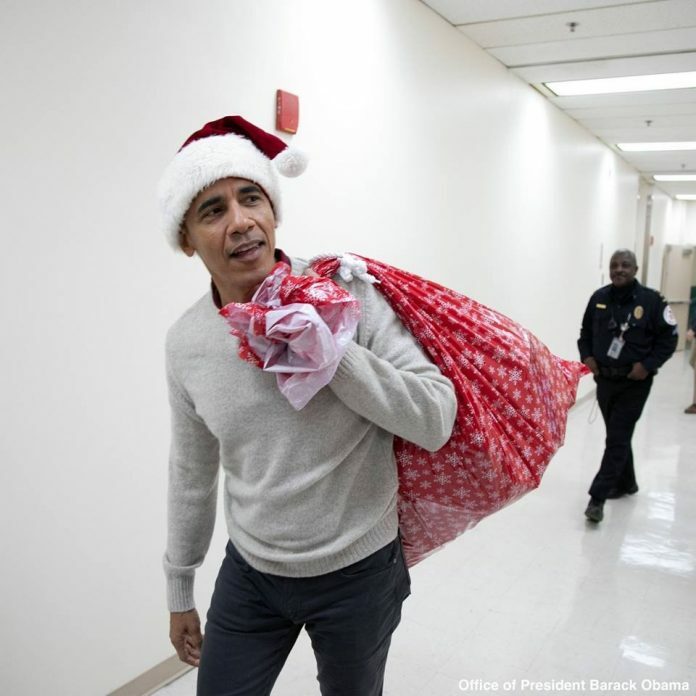 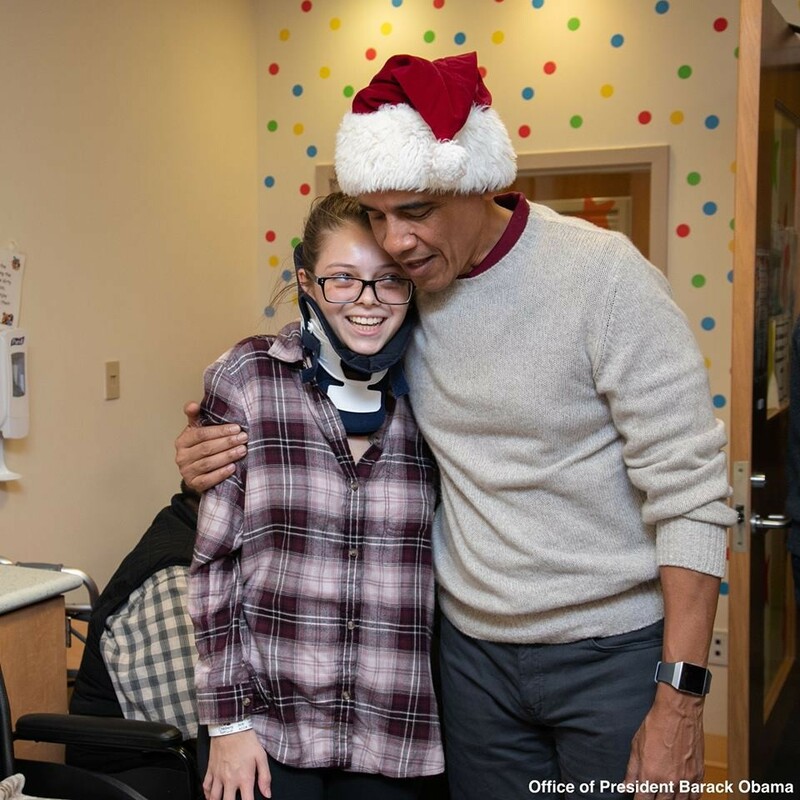 In the spirit of the yuletide season, former US president, Barack Obama, paid a surprise visit to the Children’s National Hospital in a Washington, DC, on Wednesday December 19th to gift the patients and their family members Christmas gifts. 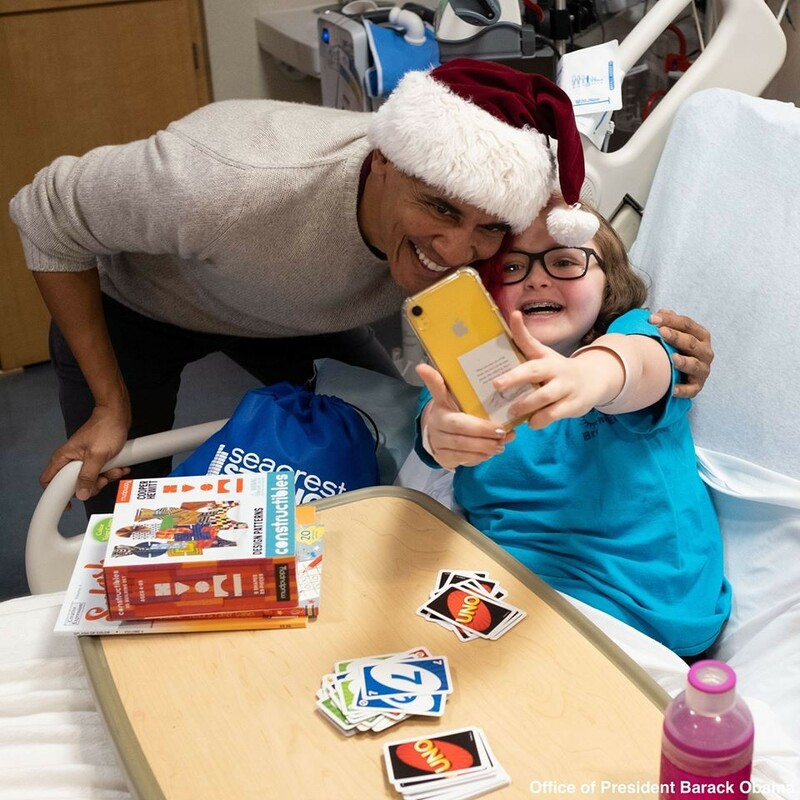 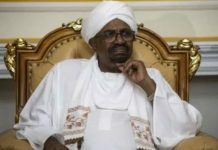 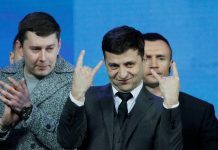 The pictures showed that the children, patients and staff of the hospital were all thrilled to see the former president. 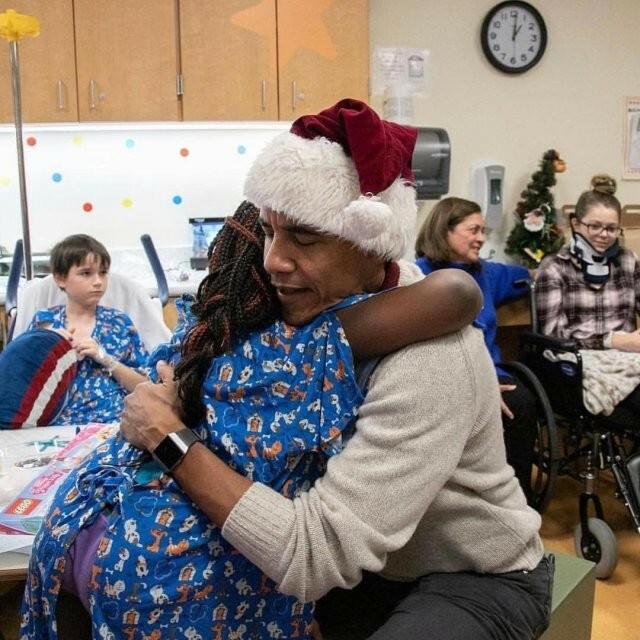 See more photos below..